It is in deep sorrow and faith in the Resurrection that we announce the passing of the following St. Katharine Drexel parishioners. Please remember these parishioners and their families in your prayers. John David Brenkus, 76, of Haymarket, VA, passed away September 1, 2018, at his home, surrounded by his loving family. Born February 19, 1942 in Kingston, Pennsylvania, he was the son of the late John Brenkus and Mary Repak Brenkus. On June 20, 1964 in Wilkes Barre, PA, he married the former Rosemarie Czoch, who survives. Survivors include his loving wife of 54 years, Rosemarie Brenkus of Haymarket, VA; one daughter, Mary Brenkus Stern and her husband, Mickey, of Haymarket, VA and their two children, Luke and Lexie; and one son, John D. Brenkus II and his wife, Lizzie, of Park City, UT and their two children, Bryce and Arabella. 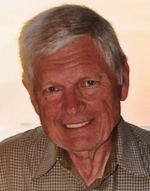 John served as a member of the U.S. Navy from 1959-1963 and received an honorable discharge. He attended the U.S. Naval Academy from 1961-1963 where he was a member of the Drum and Bugle Corps. He received a Business Administration degree from Georgetown University in 1967 and proudly served on the Georgetown Alumni Admissions Committee for multiple years. 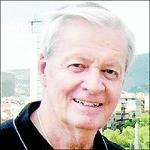 He also received a Master of Management Information Systems from American University in 1971. John began his career in product sales planning and operations for Honeywell, Inc. 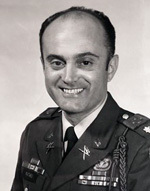 He then spent twenty years with the U.S. Government focusing on information systems procurements and acquisitions for the Department of Treasury, General Accounting Office, and General Services Administration. He then transitioned to the telecommunications industry and spent ten years securing land for telecommunications towers. While searching for land as part of his job, John found the property in Haymarket where his family built their current home and still resides. John rounded out his professional career as a real estate agent for Weichert Realty, where he always enjoyed meeting new people and helping clients purchase properties. John willingly served the communities in which his family lived. John served on the Town of Vienna Planning Commission from 1973-1992 and served as Chairman from 1980-1981. His favorite volunteer time was spent as coach for Vienna Little League Baseball. He also served as a member of the Prince William Country Board of Zoning Appeals and the Gainesville-Haymarket Rotary for many years. John greatly enjoyed doing any activity that was outdoors and brought him close to nature and animals. He loved gardening and landscaping, tending to wild birds and deer, being with his dogs, and woodworking. A Memorial Mass of Christian burial will be offered on Saturday, September 15, 2018, at 12:00 p.m. at St. Stephen the Martyr Catholic Church, 23331 Sam Fred Rd., Middleburg, VA 20117. A celebration and reception will immediately follow at Evergreen Country Club, 15900 Berkeley Dr, Haymarket, VA 20169. The family requests in lieu of flowers, memorial contributions may take the form of a donation to the Parkinson Foundation of the National Capital Area (parkinsonfoundation.org), 8830 Cameron St #201, Silver Spring, MD 20910, or the Lewy Body Dementia Association, 912 Killian Hill Road, S.W., Lilburn, GA 20047 (LBDA.org), or the St. Katharine Drexel Mission Building Fund, 4100 Mill Creek Road, Haymarket, VA 20169 (katharinedrexelcc.org). Arrangements have been entrusted to the Baker-Post Funeral Home & Cremation Center, under the direction of Michael Post. Please sign the guestbook at www.bakerpostfh.com. 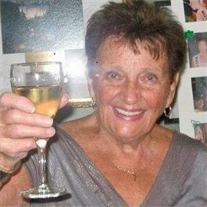 Joan G. (Rueff) White, 85, of Haymarket, Virginia died peacefully at her home in Haymarket on April 2, 2018, with friends and family by her side. Joan was born on November 21, 1932, in Louisville, Kentucky to Frank and Gertrude (Carr) Rueff. She was the sixth of eight children and grew up in a loving home on Warner Avenue, in the neighborhood of St. Matthews. 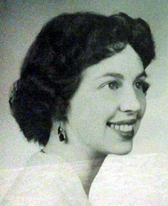 She attended St. Anthony’s Hospital Nursing School where she graduated as an Operating Room Nurse. Shortly after starting her career, she met Thomas D White, who was studying to become a doctor, and they married soon after. Joan was a devout Catholic, and a shining example of the values of her faith. All who met her were in awe of her resolute devotion to God and the Mother Mary. She kept a positive attitude and a smile on her face no matter what the circumstances, and she had a determination and willpower that never ceased in the face of challenges up to the very end of her life. Joan was an amazing woman with many friends. She was a wonderful mother to her children, a devoted wife to her husband and a trusted friend to everyone she met. She was called “Mom” by countless family friends who relied on her compassion, warmth and guidance, which she provided without judgment, and without hesitation. She was an athlete and sports enthusiast who loved to play tennis, and whose passion for Sunday Night Football left us wondering as young children who “Damn Sam” was. She loved to play, and would sit on the floor and play games with all the children, or go outside and play ‘run the bases’ with her children and the neighborhood kids. She could read five books at one time, sew a costume, and managed to attend every event her children appeared in. A wonderful cook, she often served 20 for a holiday dinner, and even while working full-time, managed to make breakfast, pack 6 lunches, and put a big dinner on the table every night, during which she would often regale the family on what happened in the OR that day. She was a champion for her loved ones, the church, and her good causes, volunteering when needed, and leading organizations to prosperity. She will be deeply missed. Joan and Tom lived in many places throughout their 59 years of marriage. They traveled extensively throughout Europe while Tom was on active duty in the Army, and spent a lifetime traveling the 50 United States visiting friends and family. She was proceeded in death by her parents, her brothers Jimmy, Martin, and Frank, and sisters Kitty, Dorothy and Mary. 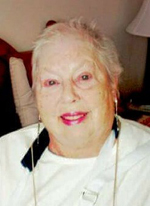 She is survived by her husband, Dr. Thomas D White, her six children, Joan Finn (George Campbell), grandchildren Remy and Bella, Jennifer White, Julie Tilt (Charlie Tilt), grandchildren Ariel and Azara, Tom White (Iris White), grandchildren Nicholas and Max, Janine Moore, grandchildren Aaron (Melodee), Alexandria, and Aidan, John White (Brittany White), grandchild Monroe, her sister Betty Tonini, and a large extended family. The family wishes to thank Hospice, Dr. Frederick Lennon, and her caregivers Shannon, Megan, Lexi, Dominique, and Anji, for their incredible and loving care of their mother during her last years while battling cancer. Services will be held on Thursday, April 12, 2018 at 11am at St. Stephens the Martyr Catholic Church, 23331 Sam Fred Rd, Middleburg, Virginia, 20117. A small reception with follow in the Churches’ Hall after mass. In lieu of flowers memorials can be made in her name to St. Katharine Drexel Building Fund, a mission she helped start, at 4100 Mill Creek Rd, Haymarket, Virginia, 20169, attn. Mission Coordinator Ellen Sivick. Please pray for the repose of the soul of Christopher Louden, son of SKD parishioners, Marie and Max Louden. Christopher was a devoted and loving husband to Lori and father to their two children, Elisabeth and David. Christopher was 48 years old. Pataro, Jr., Rudolph N., Col USA (ret) passed away peacefully on January 30th, 2018 at Fair Oaks Hospital. Beloved husband of Patricia S. Pataro and loving father of Delissa Knapp, Rudolph Pataro III and Toni Keating, brother of Yolanda Carothers and is also survived by 8 wonderful grandchildren. Rudy was born on October 19, 1933 in Poughkeepsie, NY. He attended the New York Military Academy on a full trumpet scholarship. Upon graduating he began his military career which included graduating from the United States Military Academy at West Point in 1957. He spent the next 26 years proudly serving his country with the 82nd Airborne Division, with time spent in Germany, Korea and Vietnam. Following his illustrious military career, he worked in the private sector for another 13 years. His retirement years were filled with his true passions — his love of his family (his la familia), his classmates from USMA ’57, his grandchildren and his friends. Rudy, or Papa as he was known to his family, will be missed dearly for his stories that got bigger with each telling, his big band music, the smell of coffee in the morning and his love for his classmates. Friends may visit on Sunday February 4th, 2018 at Baker-Post Funeral Home & Cremation Center, 10001 Nokesville Road, Manassas, Virginia. Viewing hours will be from 1-3pm EST. A funeral mass will be held at a later date with full military honors at Arlington National Cemetery. In lieu of flowers, memorial contributions can be made to the Alzheimer’s Association or to the West Point Alumni Association. The internment ceremony for RAdm James M Seely (Ret) at Arlington National Cemetery will be held on Monday, November 6 at 11:00 AM. Please arrive no later than 10:30 AM. There will be a reception immediately following at the Army Navy Country Club. Jim & Gail’s friends at St. Katharine Drexel were wonderfully supportive and we look forward to sharing this special moment with all of you. Note: There are 3 routes from Arl Cemetery to ANCC; we suggest using the VA-110 S to Army Navy Dr route. Rear Admiral James Michael Gleason Seely, USN Ret., 84, of Haymarket, passed away June 3, 2017 at the Novant Health – UVA Haymarket Medical Center. Born October 15, 1932 in Los Angeles California, he was the son of Louis and Mary Seely. On July 13, 1957 in Culver City, CA, he married the former Gail Margaret Deverman Seely, who preceded him in death on April 22, 2015. 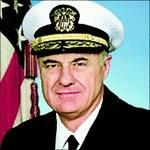 RADM Seely attended UCLA, was a member of the Sigma Pi fraternity and graduated in 1955. He proudly served in the United States Navy for more than 34 years, retiring in 1989. He has been a resident of Haymarket for the last 12 years, and has run a successful defense consulting firm until his untimely death. Survivors include one daughter, Nina Dunleavy and her husband Daniel of Stephens City; one son, Ted Seely and his wife Susan of Centreville; three grandchildren, Brandon and Michael Seely; and Jared Dunleavy. He is also survived by several extended family members and many loving friends and colleagues. The family will receive friends on Sunday, June 11, 2017 from 2:00 – 4:00 p.m. at the Baker-Post Funeral Home & Cremation Center, 10001 Nokesville Road, Manassas. A Mass of Christian burial will be offered at Holy Trinity Catholic Church 8213 Linton Hall Road, Gainesville on Monday, June 12, 2017 at 1:30 p.m. Please join the family following the Mass of Christian Burial at Regency Club House, 15351 Championship Drive, Haymarket, VA 20169. Graveside and interment services will Full Military Honors will be held at Arlington National Cemetery at a later date. Memorial contributions may take the form of a donation to the Haymarket Regional Food Pantry, 6611 Jefferson St, Haymarket, VA 20169. Audrey Viola Byerly, age 84, of Haymarket, VA passed away Tuesday, October 17, 2017 at the Novant Health Prince William Medical Center. She was born on January 5, 1933 in Washington, DC the daughter of the late John R. and Edith Mae Grigsby. 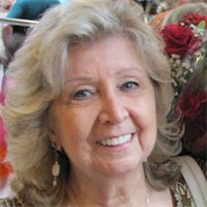 She was a member of St. Katherine Drexel Catholic Church. She is survived by five her children, Donald Cherrico and wife Cara, Andrew Cherrico and wife Sundra, Scott Byerly and wife Julie, Susan M. Shomaker and husband Tim, Carrie Keeler and husband Bob; one sister, Christine Cherrico; fourteen grandchildren. The family will receive friends from 6:00-8:00PM Wednesday, October 18, 2017 at Pierce Funeral Home, 9609 Center Street, Manassas, VA. A graveside service will be held at 12:00PM Thursday, October 19, 2017 at Stonewall Memory Gardens, 12004 Lee Highway, Manassas, VA.
parents, George M. Ballantyne and Helen T. (Carroll) Ballantyne, and brother, George C.
her love of God and deep Catholic faith. Flowers or a donation to Catholic Charities are welcome expressions of sympathy. A resident of Heritage Hunt in Gainesville, VA, died on May 31, 2017, at the Alder Center for Caring. He was born in Greenfield, MA on September 4, 1934, son of Dorothy and Hugh Geddes. Dave was raised in Providence, RI, graduated from Providence College and received a Master’s Degree from Boston College. He earned a Doctorate in Business Administration from GWU. Dave’s 35-year Federal career included the IRS and the Commerce Dept. He is survived by his wife of 53 years, Kathleen Malone “Kate” Geddes; six children, Patrick Geddes (Angela), Peter Geddes (Diana), Daniel Geddes, Maura Gross (Jon), Claire Geddes and Erin Stamp (Michael) and three grandsons. A Mass of Christian Burial will be held at St. Mary of Sorrows Historic Church, Fairfax Station and Ox Roads, Fairfax, VA 22039 at 11 a.m., on June 5, 2017, followed by a celebration of his life at Paradise Springs Winery, Clifton, VA. Donations in Dave’s memory may be made to Capital Caring Adler Center for Caring, 24419 Millstream Drive, Aldie, VA 20105.